See ya, summer, until next year! 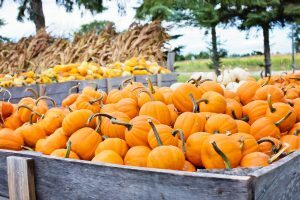 Now we’re welcoming fall with all of these autumn-inspired events and festivities across Henderson County! Ellis Park isn’t just for horsing around! This fall, every Friday through Sunday until October 31, Pumpkin Fest at Ellis Park is open for business. Your general admission ticket comes with lots of fun activities like hayrides, a straw maze, and inflatables for the kiddos. Admission is free for kids ages 2 and under, ages 3 to 11 costs $7, and admission for ages 12 and above is $9. Make sure to bring cash for entrance into the event. Discounts are available for groups if you call in advance! Hours of operation begin at 3 p.m. on Friday and 11 a.m. on Saturday and Sunday, and the event runs until the sun goes down. Pumpkins and fun all day long! A family tradition with all your favorite fall and farm activities! 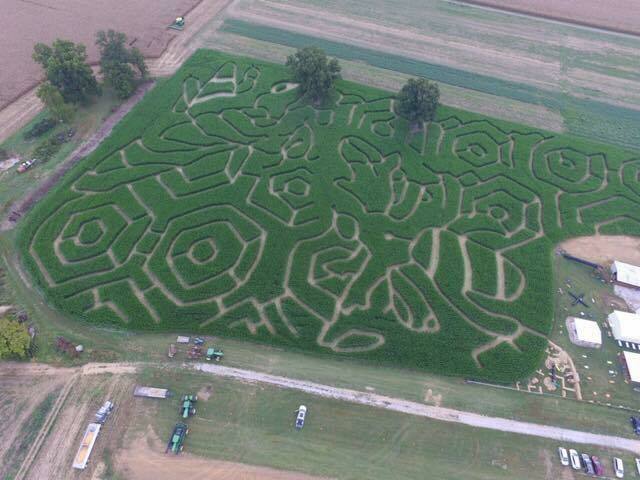 This year’s events include an 11-acre corn maze, 12 acres of pumpkins, hayrides, bonfires, and games. 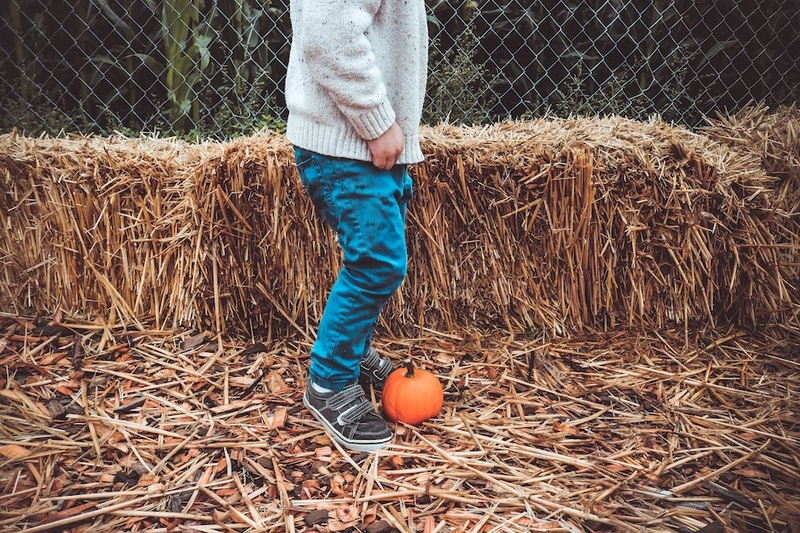 A general admission ticket includes a hayride, a corn maze, the pumpkin patch and all the activity areas, all for $7 for children ages 3 to 11 and $9 for children ages 12 to adult. The 2017 season is open on Fridays from 4 to 9 p.m., Saturdays from 10 a.m. to 9 p.m. and Sundays from 1 to 7 p.m. until October 31. Group rates are available for field trips, birthday parties, church groups, company picnics, and class reunions. Must call in advance to schedule these and other events. Say goodbye to sweet summer garden produce and say hello to fall flavors! 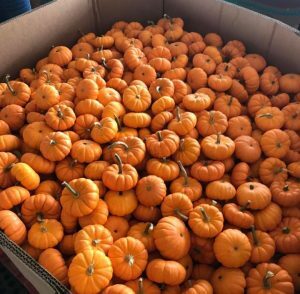 Fall Farmer’s Market products includes pumpkins, gourds, straw, corn stalks and edible fall squash. Head on out to the Henderson County Fairgrounds on Tuesdays, Fridays and Saturdays from 8 a.m. to 5 p.m. at 381 Sam Ball Way. Freedom Park playground is right beside the Farmer’s Market, so bring the kids and make a day of it! 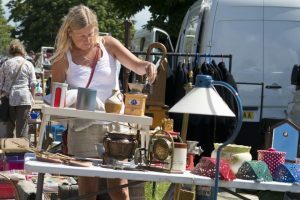 Avid bargain hunters from all over will be flocking to Kentucky for the famous 400 mile yard sale that stretches from east to west along Highway 60. From sunup to sundown during October 5 through 8, take a drive down county roads to see what interesting deals you can find. 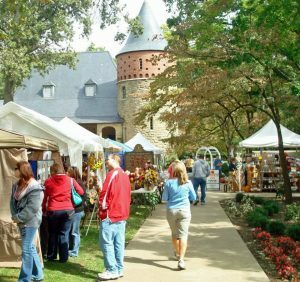 Another outdoor market event that draws in thousands of people is the annual Arts & Crafts Festival at Audubon State Park going on October 7 and 8. The festival brings in over 100 unique vendors. Woodworking, artistic items, weaving, seasonal decor, quilts, handmades, and let’s not forget kettle corn and all the other tasty treats! It’s a great time to buy one-of-a-kind gifts for the holidays, and to watch artisans at work! Wooden statues made from chainsaw artists are a favorite of festival-goers. Admission is free, but you’ll need cash for parking. Looking for a more frightening outing that also supports a good cause? 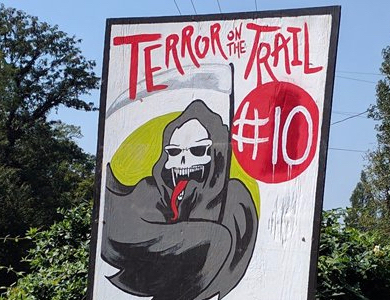 The 11th annual Terror on the Trail is full of scary goblins and ghouls. Two nights of thrilling fun on October 20 and 21, beginning at 7 p.m. Tickets are $15 a piece and worth every penny, as the proceeds of the event go towards kids with medical expenses. This year’s recipients are Erich Gilbert, a freshman in high school with cerebral palsy who is wheelchair bound, and Adeline Grace, the 8-week-old daughter of Brad and Whitney Alsup. The proceeds will go to helping with the purchase of van lift for Erich’s family and for an aortic correction surgery for Adeline which she will need when she reaches 6 to 8 months of age. These two families in need could use your support, and you’re in for a spooktacular time at Terror on the Trail! The Depot Community Room’s most popular tour of the year, the Spooks and Legends Haunted Tour, is set for Saturday, October 28. Listen to these eyebrow raising stories of actual people that lived in Henderson centuries ago! You will find yourself trapped in the plots of murder mysteries, haunted buildings, crimes that might just make your skin crawl! This tour is based off of actual people and events that are recorded in Henderson’s History. 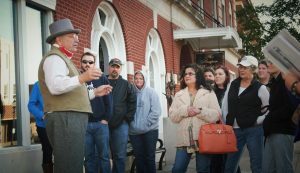 Two walking tours will operate on Saturday, beginning at 1 p.m. and 3 p.m. Tickets are $5 and can be purchased at the Depot Community Room at 101 North Water Street. Don’t forget to take the kids out for to do what they love doing most, collecting candy! 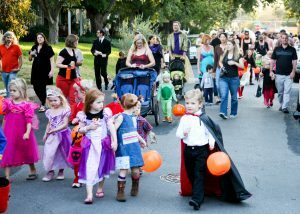 As always, trick-or-treating will take place in downtown Henderson from 3 p.m. – 5:00 p.m. After the trick-or-treat, make your way to your favorite Halloween party, including community activities at Henderson General Baptist Church, First United Methodist Church, and Community Baptist Church.